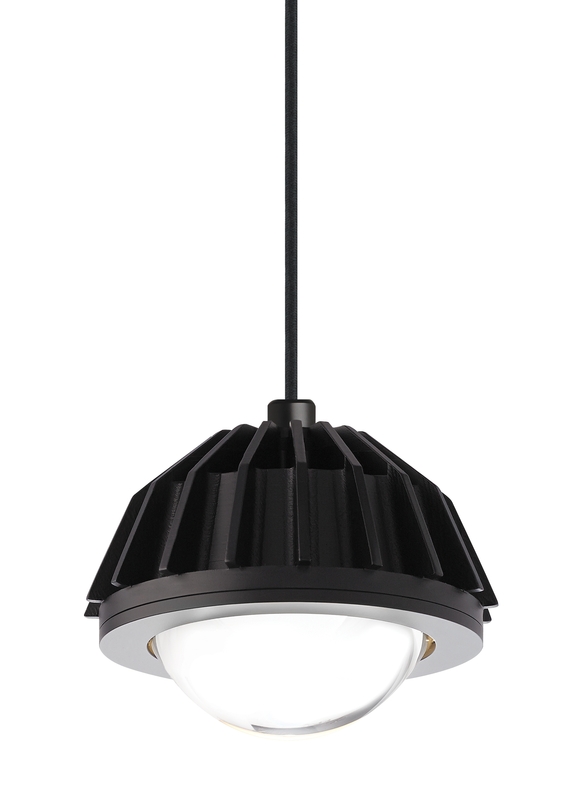 This modern beauty by Tech Lighting features a die cast aluminum body. It houses a powerful LED light. Featuring a high quality pressed glass optic that effectively distributes light output for excellent task lighting on the surface below while eliminating horizontal glare. Includes 9 watt, 700 net lumen, 3000K or Warm Color Dimming 3000K-2200K LED module. Dimmable with low-voltage electronic dimmer. Fixture providedwith six feet of field-cuttable cloth cord. Black finish hardware.